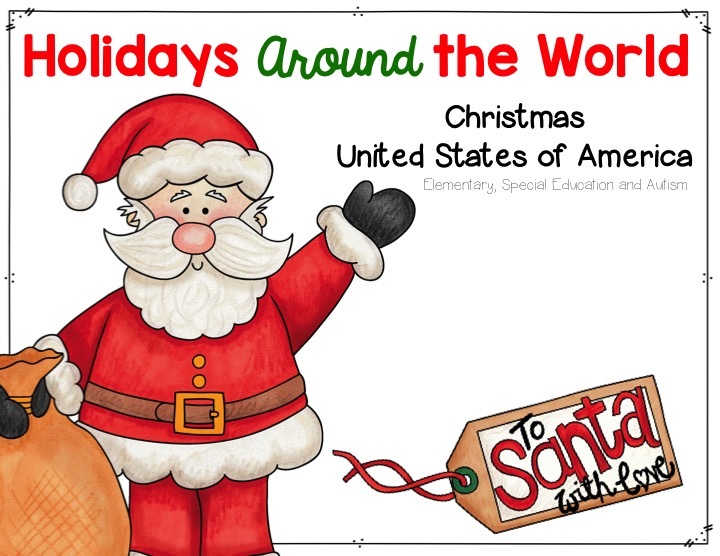 Nouns - December - All Things Special Ed. What a busy school year- more so than most!! I have been neglecting my blog for and I don't like that! Some of my special ed. kiddos and I have been working really hard on nouns. 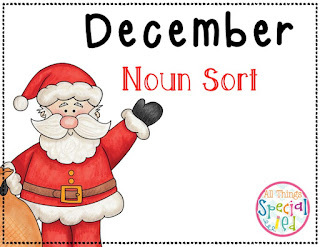 This week we have been working with a noun sort that I created with a December (Christmas) theme. 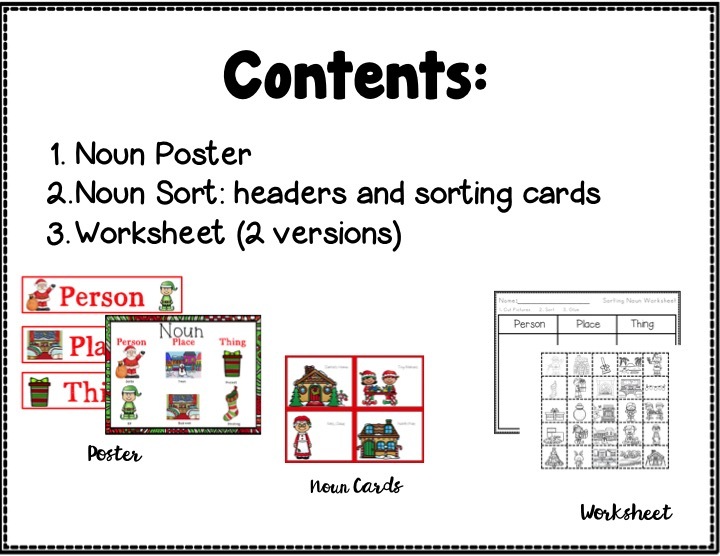 First we go over what a noun is by using the anchor chart (or poster). 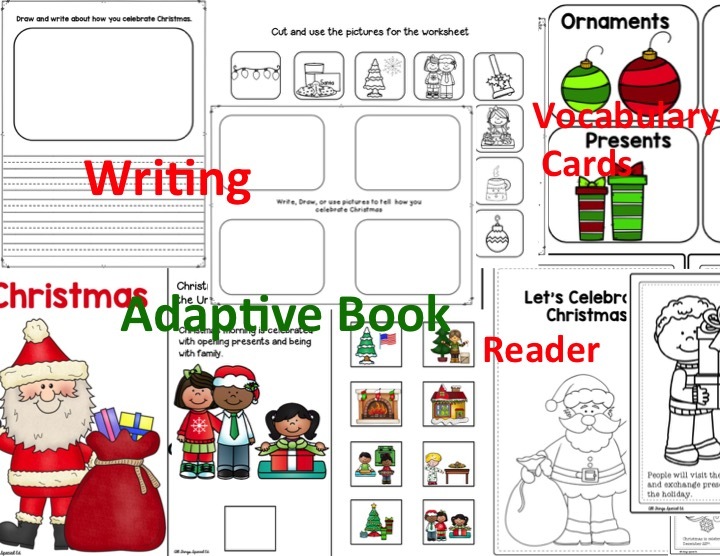 I have visuals on the chart to help my students who can not read or need that extra visual support to help them. 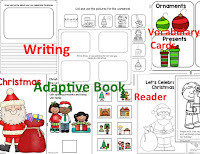 Next we use the pocket and chart and in a small group we each take turns sorting the cards into the groups (person, place, or thing). 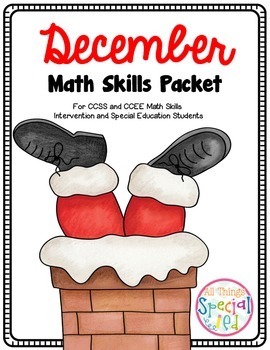 This helps get students up and moving and we can each take turns and correct each other if we made a mistake. 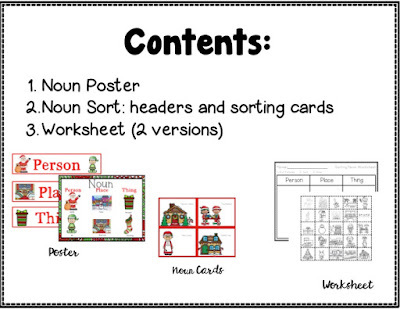 After we did our large group sort, I have students sort nouns using a worksheet to check their understanding. I have 2 versions, one with words to sort and one to sort pictures. 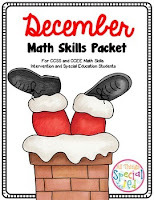 The students really love this activity and I have a great time watching them become more independent with it over the months!! Bonus-- This is free as a big THANK YOU for being great followers!